Voted the Bay Area's Favorite Bike Shop four years in a row, we make the shopping experience as easy and inspiring as the sport of cycling itself. This is where the "Justice" part comes in. That is, the balance between the fun of cycling and the shopping experience, that can so often be lacking in a retail environment. We start with a core dedication to providing an easy-going and friendly environment where every type of cyclist is welcomed and it's easy to get questions answered. To achieve this we hire staff that actually love to help you find what you're looking for, whether it's information, a product that's in stock, or even an out of stock item! Locally we're renowned for our incredible Kids Bike Upgrade Program, our generous Service Policies, and our infectious enthusiasm and willingness to help. 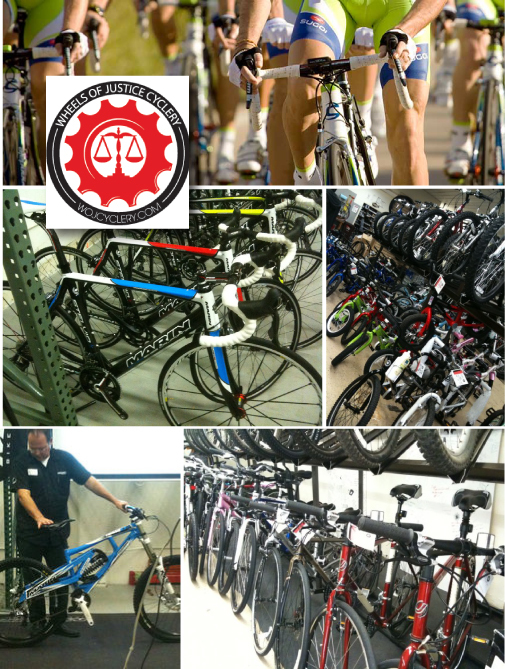 We're small, but we work really hard to be your local bike shop!